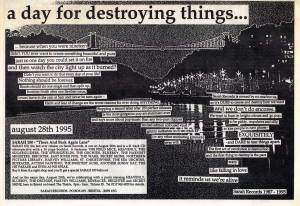 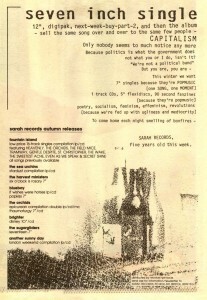 Half of a quarter page strip ad from NME and Melody Maker, September 1991 – the other half was an ad for Glass Arcade. I think what we can all conclude from this is that artwork based on a purple and yellow sleeve doesn’t tend to reproduce that well in black and white newsprint. 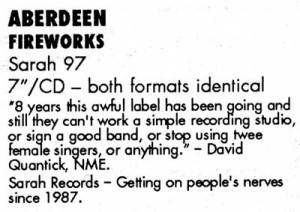 It cost us a couple of grand to learn that; you can have it for free. 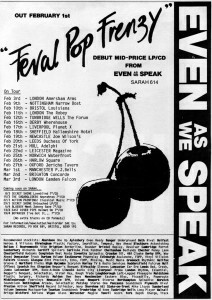 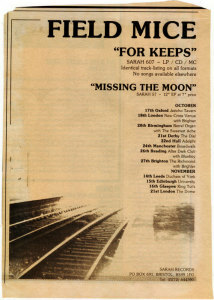 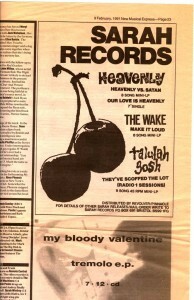 A quarter page ad in NME and Melody Maker from October 1991. The railway platforms are at Clifton Down, our local station in Bristol. 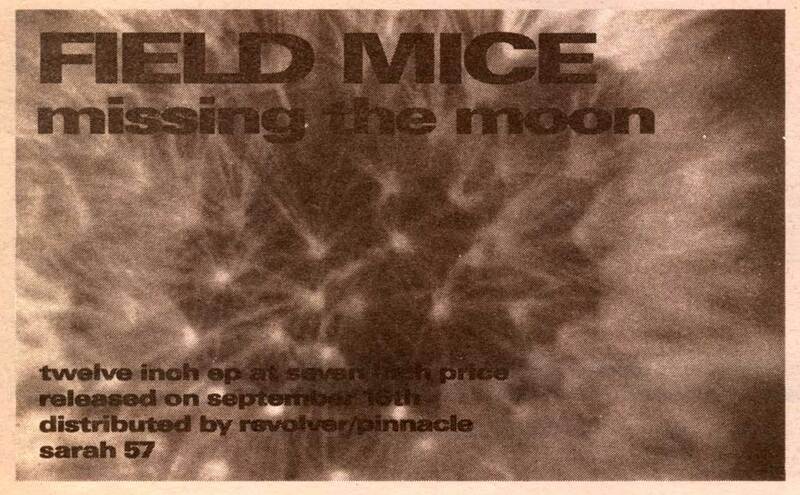 The last date on that list of gigs – 21st November at the Dome (Boston Arms) in Tufnell Park – turned out, of course, to be the Field Mice’s last ever performance. 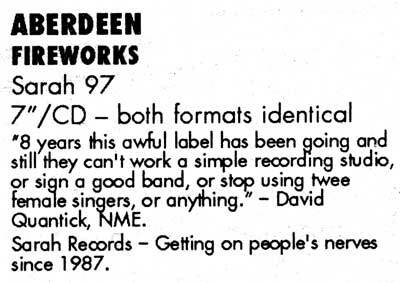 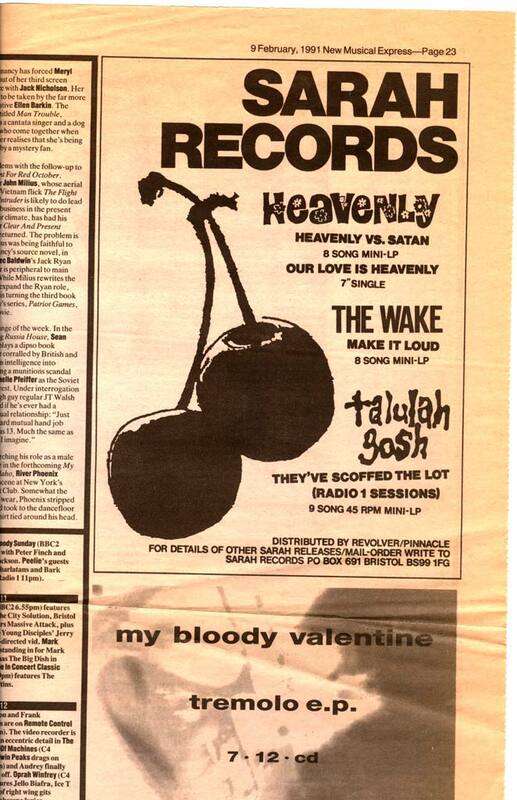 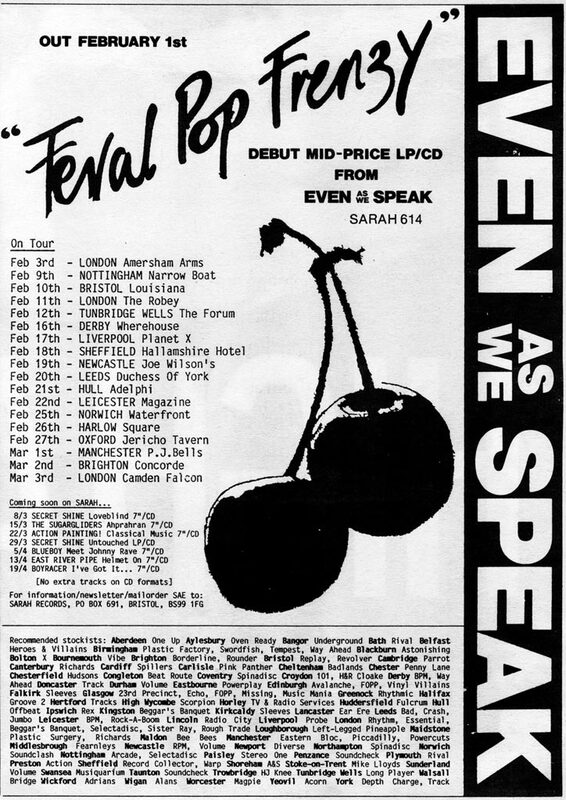 This was the advert we took out to celebrate our fifth birthday; I think it amused us to use a quarter of a page in NME and Melody Maker to write the words “seven inch single” and “CAPITALISM” as big as we could, though in retrospect “seven inch” should have been hyphenated.